This concept was focused on boot space and the amazing new design that the SEAT Leon ST had to offer. What’s more spacious and beautiful than space itself? 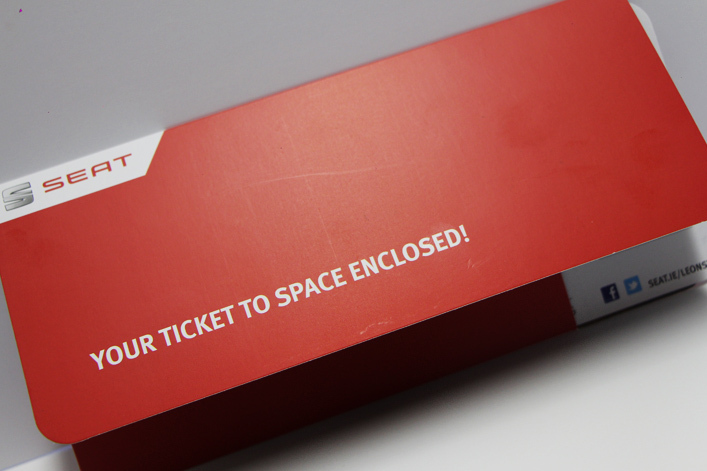 So we made an engaging and memorable DM that tied in the concept of having a ticket to “space” in order to draw in selected recipients to come in and test drive the new SEAT Leon ST. The brochure was designed like an airline ticket and wallet to create a feel of travel and urge the recipients to take the boarding card with their unique promotional code and visit their local dealers. The envelope also played on the theme of space and drew the attention with a clever headline that said “OUT OF THIS WORLD NEWS INSIDE“. Example of a creative and highly targeted marketing campaign.